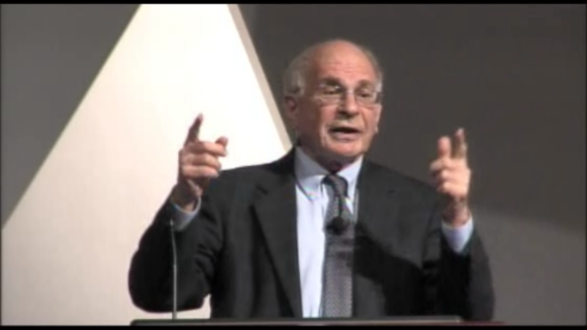 Psychologist Daniel Kahneman wraps up his talk at the National Academy of Sciences colloquium on social science research in science communication by stating that he has presented “a fiction.” And it is a fascinating yarn he’s spun. Summarizing the main threads of his new book Thinking, Fast and Slow, Kahneman describes “a psychodrama with two characters”: System 1 thinking and System 2 thinking. [W]e identify with System 2, the conscious, reasoning self that has beliefs, makes choices, and decides what to think about and what to do. 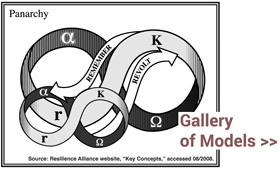 Although System 2 believes itself to be where the action is, System 1 is the hero of the book. System 1 is intuitive, instinctive, automatic, emotional, and associative. System 2 is deliberate, specific and detailed. System 1 handles the commonplace and familiar motions of driving a car. System 2 takes over when facing a left turn into oncoming traffic. A couple of passages that caught my attention. Funny, I just popped in to drop you a link to this: http://www.newyorker.com/online/blogs/frontal-cortex/2012/06/daniel-kahneman-bias-studies.html , and find you all Khaneman’d up as well. Next post: Lin Ostrom: We can do it!